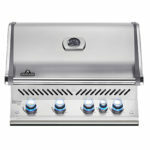 This big and beautiful, dual head gas grill is the perfect addition to your outdoor kitchen. Grill anything imaginable and still have room for more. The Prestige PRO™ 665 with Infrared Rear Burner proves that form, function, and luxury can be one and the same. 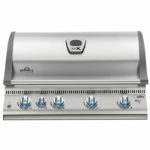 Seven burners bring backyard bliss in this stainless steel grill head featuring chrome accents and LED backlit control knobs. 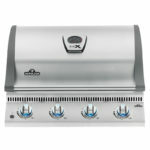 This grill isn’t just another pretty face; it is the crowning jewel of your gourmet outdoor kitchen. Style and performance in one hot package. 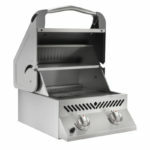 Durable, stylish, and the freedom to create incredible grilled meals as well as the perfect outdoor gourmet kitchen, the Napoleon Built-In Prestige 500 Grill Head allows you to cook and create in any way imaginable. 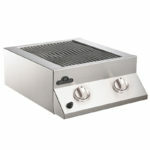 This grill will fit perfectly into your ideal outdoor kitchen. 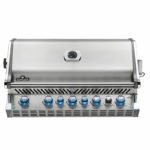 Four stainless steel tube burners, an integrated infrared bottom burner, and infrared rear burner give this Built-In Grill Head all of the versatility of your outdoor kitchen. 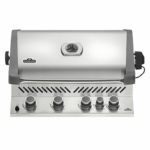 Your outdoor gourmet kitchen awaits with the addition of the Napoleon Built-in LEX 605 Grill Head, use it for perfectly grilled and rotisserie meals, or turn it into a smoker and charcoal grill with the optional charcoal tray. 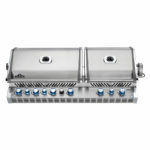 Use one, two or all four burners to bake, sear, and even smoke using this versatile grill head. 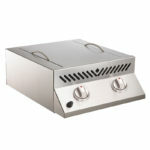 High-quality stainless steel adds durability and style, perfect for the ideal outdoor kitchen. 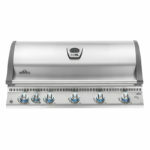 Heating up to temperatures of 1,800°F in seconds, and creating a sear just like restaurant quality meals, the Infrared SIZZLE ZONE Head is the perfect addition to your outdoor kitchen. 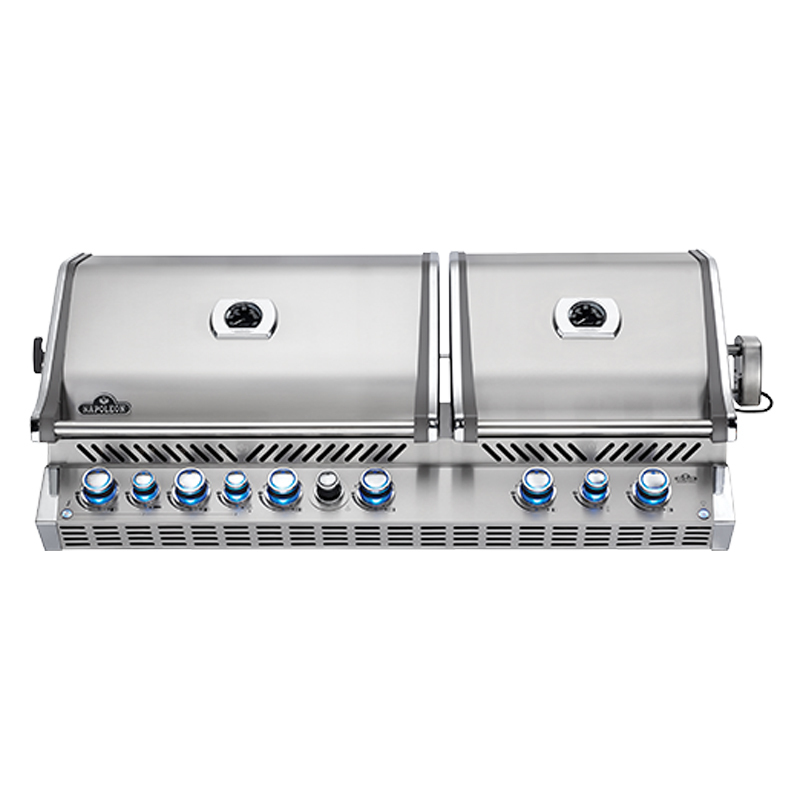 Add this Built-In Flat Top SIZZLE ZONE Head with two Infrared Burners to your gourmet outdoor kitchen for restaurant-quality results in your al fresco meals.